Padang Bai and Candidasa is located in eastern of Bali, these both town have their own spot for the tourist that want to njoyed their holiday. 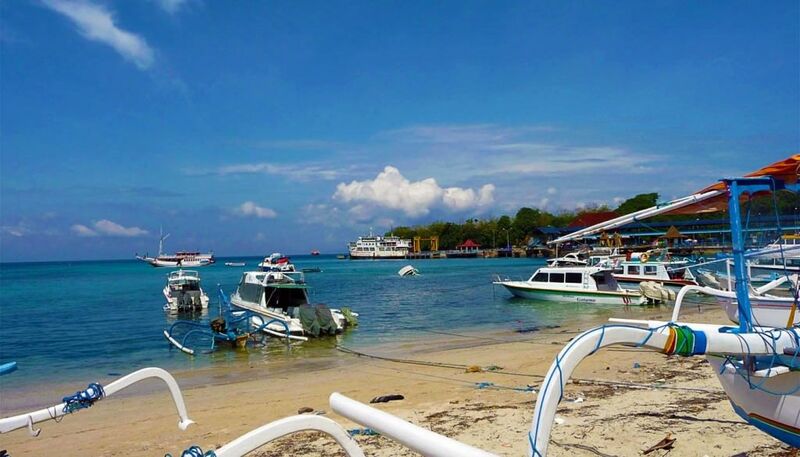 Offer 3 dive sites near the town, Gili Tepekong, Gili Biaha, and Gili Mimpang. The island can be reached by boat, from Padang Bai about 10-25 minutes, and Candidasa about 5-15 minute . Here’s the reason why you need to visit Padang Bai and Candidasa when May untill October comes. Average of 28 degrees, but around Gili Tepekong, Biaha, and Mimpang expect thermoclines as low as 21 degrees July until October. Gili Tepekong is for more experienced divers only as currents can be quite strong. Diving around these islands is more suitable for the experienced divers, since the sites can have tricky currents and a strong surge. Average 15 meters with less after rainfall and up to 30 meters in dry season July until October. For those who have ability, Tepekong can be an adrenaline-fueled dive with pelagics, schooling fish and challenging conditions. Whilist, the rock is only around 50 meters long. Stunning hard corals, and soft corals make this dive sites unforgettable experience. You can dive on various sites around the island depending on the conditions. You will have good chances of spotting whitetip reef sharks and large pelagic fishes. If you get lucky during the right season (August to October) you can even see the world famous Mola Mola. Also bumphead parrotfish, batfish, snapper, and grouper. Gili Mimpang is made up of three larger rocks alongside six smaller rocks and it also great dive site in Bali to see white tip reef sharks and the rarer Wobbegong shark. The topography of Gili Mimpang is diverse with sandy area starting from sloping reefs, walls, craggy rocks covered in hard and soft corals and big gorgonians, the visibility around 30 meters. You may spot moray eel, octopus, trevally, tuna and triggerfish. This site is on the most northern of the three rocks and outcroppings to the north of Amuk Bay. Biaha Rock is surrounded by deep waters and can be very subject to surge so diving here is best when sea condition are relatively flat. Diving areas also provide for a wide range of marine life amongst the the reef is alive scorpion-fish, cuttlefish, a range of nudibranchs, aggregations of cardinalfish amongst the corals, leaf scorionfish and al manner of more common fishes. The best time to visit Padang Bai and Candidasa is around May to October for the best visibility and increase the likelihood of larger fish sightings. Padang Bai is only a short trip from southern Bali, so if you don’t want to travel too much it will be advisable to go to Sanur. if you plan to dive on Gili Tepekong, Gili Biaha or Gili Mimpang, try checking the wave forecast and realize that this site is best suited for experienced divers.